"Enjoy dignified convenience with our safe, sturdy, thoughtfully engineered, premium quality GO anywhere portable toilet®. Our compact toilet weighs just 7 pounds and folds closed to standard briefcase size. It provides the comfort, height and ease of use of a standard toilet, supports up to 500 pounds and is stable on uneven ground. No mixing, messy chemical waste storage tanks or dump stations required. No assembly required. Go anywhere toilet kits® are biodegradable and disposable in any trash." There is a $2.00 shipping fee. Go here to order. STEP 1: Please comment on this post why the Go Anywhere Toilet would be useful for you. STEP 2: For a second entry, sign up for PreparedLDSFamily posts by email. to let me know if you commented and/or signed up for email posts. Put "Go Anywhere" in the subject line. If you don't email me, you can't be entered. Good luck! Last day to enter is Saturday, April 14th April 21st (after the wedding). Winner will be contacted by email. If the winner does not respond within 24 hours, a new winner will be drawn. If you haven't entered already, I need your advice on my upcoming book. 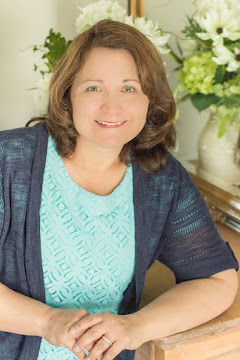 Share with me, and you can enter the giveaway for a free book "12-Month Food Storage Organizer" by going here. My husband and I are bit-by-bit getting our supply of emergency prepared items. This could be one more item checked off of our list. This would be helpful, because I tried to shoot the 5gal bucket idea by my wife and daughters. And well, let just say they were less than impressed and enthusiastic about the idea. But a portable toilet, that actually looks like a toilet would get more approval. We would love the Go Anywhere Toilet simply because we would use it ALOT. Our family values family time and we spend a lot of it traveling and camping out all over the place. We have 4 kids and money is always tight. However, we prize the time we spend together and something like the Go Anywhere Toilet would be a great help in out traveltime. Thanks again! I think this would be great to not only have for our emergency storage but also for camping trip or long road trips. We travel a lot of back roads where rest stops are uncommon. The girls in my family would having this along for the ride and being so small it wont take up much cargo room. Looks great for camping as well as having for emergencies. I have been looking at options for sanitation, and this would be perfect. I really like this portable toilet. There are so many things we need for preparedness - so many that it can be overwhelming. While I've done great on the food, it's stuff like this portable toilet that would really save the day in an emergency. We recently began our "emergency" stash of things, and this fits right in with what we need. We have one of the kids potty training chairs for the little ones, but they are getting bigger and the rest of us are too big. This would be perfect! This looks so great! I've been meaning to add sanitation items to my preparedness/food storage for so long and it just always seems to get pushed to the end of the list. I would feel a lot more prepared to have this included in our supply. And it would be great for camping too! This would be great to keep for in an emergency, it would fit in a closet and is easy to carry! My family of five go camping and for some reason (maybe they think they are at home!) our bathroom is ALWAYS full! Having an "emergency" toilet would be a blessing for those time when someone "just can't wait!" My husband and I are in our mid 60s and have just started our Food Storage plan. We are both on limited incomes and have a limited budget for everthing. We live in tornado alley and the Go Anywhere toilet would be a wonderful addition to our supplies. This area of preparedness always seems to be a little neglected. This is compact and easily portable. It's one of the only items for our emergency preparedness kit that I haven't procured yet and the fact that this one is so portable is a plus. This would be wonderful and much better than the one i have now....love how portable it is. Well this would be great in an emergency or camping for my kids since I can't never get them to pee behind a bush or tree when there's no toilet available. I have the toilet lid that fits on a white container that is not sturdy. It would be great to have a toilet that is sturdy that we could take with us in the car on long road trips. I have a weak bladder and hate using the dirty gas station bathrooms. This would be much more sanitary! This would be so great for emergency preparedness. It would also be great for when we go camping and on the road trips. My daughter and I would love it. I am in the middle of potty training my little girl. Most adults can go anywhere if needed, but she is obsessed with the toilet. This is a perfect solution in case of emergency, but especially with her and children to come. My husband and I have started the prepping process, and this toilet is one of the many things on our list! It would be awesome if we could win this one! And it would really help out with our prep! This looks so much better that the 5 gallon can setup we now have and looks to be more store-able too. This is the best design I've ever seen of porta potty. We sure could keep it stowed away for emergency. We are so limited on space, this Go Any Where Toliet would be prefect for us. Wishing your Family a Blessed Easter and Aloha! We were just going through our food storage and emergency prep items tonight and trying to decide which toilet would be best. Peeing on a bucket doesn't seem nearly as appealing (and somehow feels less sanitary?) than this portable potty. We have a portable potty for our toddlers; why not get one for everyone? Love this! Ooh, I like this A LOT better than a bucket! We would do well to have one. This is great. Like many others our food storage is going pretty well, but we have yet to work on other items like this. Not only would it be great for our emergency storage, but it would be great for road trips with our family too. Our middle child (almost 8) has Type 1 Diabetes and has to go to the bathroom more than "normal" people, with all of the rest area closures it's getting harder for us to find bathrooms on those long stretches of roads with not towns. I must admit that although food storage has been on my mind for quite a while, we are nowhere near where we should be. So this Go anywhere would be great to start adding to our preparedness! Thanks for the great give away! Looks like something my daughter would sit on without being scared of falling over when we camp. this would be an awesome addition to my families preparedness supplies, but it would also be so useful for camping, road trips, would be so helpful for those moments when the next available services are just a bit too far away, lol thanks for the chance to win. My wife and I have made our emergency preparedness up to 6 months of food, and now we're working on the other facets of our prep, such as water and convenience items. This would be a fantastic addition to the small list of items we're trying to get. Thanks! This is one thing that would come in very handy in an emergency. One of the options I've been considering for our emergency--go kits, is the 5 gallon bucket with seat and cover. It just takes up so much space. This would be much better. I love it. Thanks for all you do including great giveaways. Just stumbled upon your blog from Pinterest. I am pretty new to prepping and I find your blog to be extremely helpful. 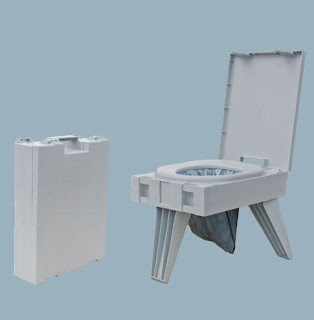 I actually was looking at this toilet on a camping website and thought it would be perfect for my prepping needs. I even showed it to a friend who hikes with me and we decided that we really need that since we are always stopping somewhere in the woods for a pee break! Our family moved to a farm 8 months ago. During this time we have been without "toilet" services twice due to septic issues. We are hoping the problem is finally corrected, but this would be great to have as a back up if it happens again! This looks so convenient to store. I am trying to re-start my preparations after moving to hurricane country and having to leave a lot behind. But we are now living in an apartment, so space is at a premium. This would be perfect for us. I think that the compact size of this portable toilet makes it easy to store for emergency preparedness and also great to take on long road trips. I have four little kids so emergency potty stops are not uncommon! I was hit by a drunk driver and suffered back injuries. I am now permanently disabled. Having a portable toilet would make life in an emergency so much easier. With 5 kids there is always a emergency with the toilet. The little kids have a hard time with differences. This toilet seems similar to what they already have. Would be great to have. I'd just love to take this camping! Thanks for a great giveaway! i would love this for little emergencies like my only bathroom being repaired. great idea! I have felt a bit overwhelmed with gathering everything I would like to have for my family of 8 for emergency preparedness. I hadn't even thought of a portable toilet! This looks awesome. Instead of weight loss, making more money, or redecorating my home, my New Years Resolution this year, has been to make "my family's preparedness" my passion. I'm baby stepping my way as best I can, for me, my husband and my 5 children. I've never even THOUGHT of a portable toilet! On a northern Utah landscaper's budget, I don't think this will be at the top of my shopping list, I'd sure lOVE to win one! Thanks for all you do for the rest of us! This would be bring peace of mind for emergencies- and great for camping! I am new to your blog and food storage. This would be one big thing I can check off my list...thank you for the opportunity! I already have my portable toilet!! I just wanted to take a minute and thank you for all of your hard work and your awesome giveaways. Thank you so much for carrying about your fellow human beings that you want to help out! I have been recently looking at something like this that Shelf Reliance sells, I was thinking to stick it with my 72 hour kit, or even to put in my stow in go part of my car for my kids! There is not a family trip where one of my three isn't saying, "But I have to go RIGHT NOW!!" lol, this would really come in handy! This would be wonderful for our emergency prep...or for a camping trip! This is the first time I've seen one of these! It would make handling the "necessities" so much more convenient! This is similar to a "regular" toilet and easy to carry. Great combination for our emergency preps! This is better than squirtin' in the dirt. We'd add it to our camping stash. Much better than squatting. Would love to have this for our storage. Honestly, didn't even think about that part of food storage or emergency preparedness. Thanks! It would be wonderful to have and not worry about getting! Would be perfect to launch a new car ER kit! We've done the bucket method and this is so much better.